This Designer Square Box in Wood and Oxidized Metal is sure to appeal to buyers looking for unique items that are rich on the aesthetics Read More..front as well. 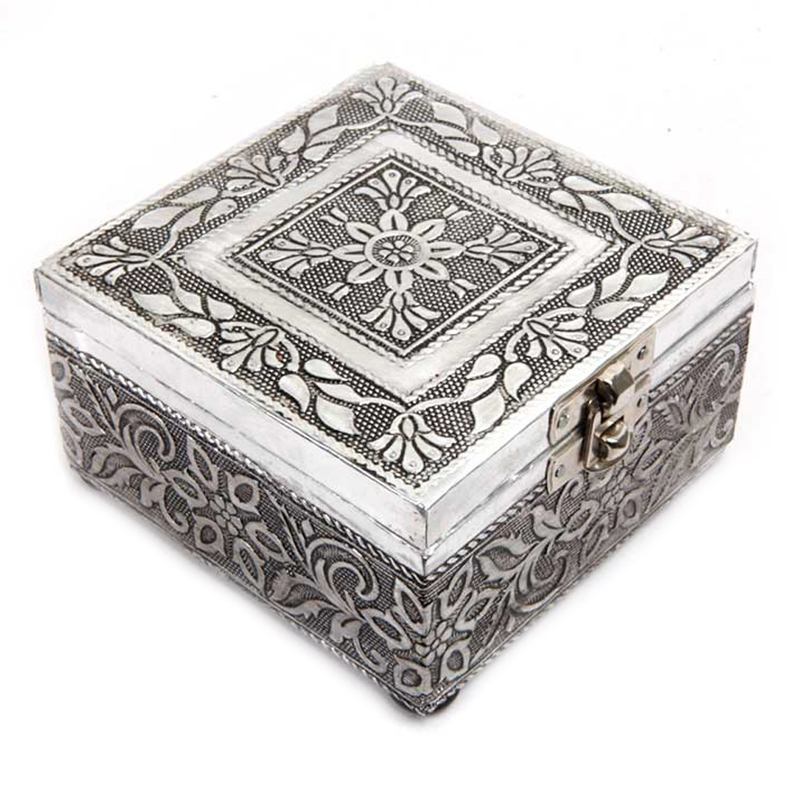 This box features intricate flower and leaf design on its body, which complements the unique combination of wood and metal to make mesmerizingly beautiful, and allure all its beholders with its regal splendor. This box provides an aesthetically pleasing option to its owners to keep various household valuables in a secured manner. Show Less..